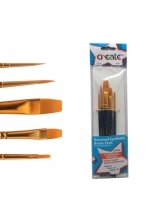 An assortment of great value synthetic brushes suitable for face painting and art. 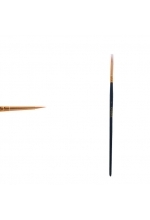 Long handled Create Brush Set (5 Pack) 5 Pack Golden Synthetic Brushes .. Create Brush - Size 1 Round Albino ( White Synthetic Brush) Suitable for face painting, acryl.. 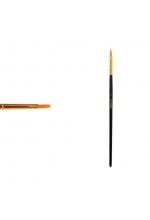 Create Brush - Size 1 Round (Synthetic), navy handle, gold ferrule. Use for detailed work and.. 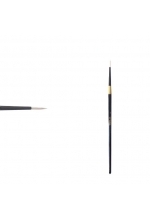 Create Brush - Size 2 Flat (Synthetic) .. Create Brush - Size 3 Round (White Albino Synthetic) For face and body painting, acrylic..
A gorgeous set of assorted Albino Synthetic Brushes. 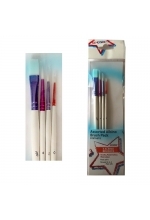 White handles with metallic ferrules in ..
A fun set of assorted Synthetic Brushes. Colourful plastic handles with golden ferrules. ..